Home / Adviart Blog / Eat more ketchup. Eat more ketchup. This adviarter picked the first shell he could find and instantly noted that I need to “eat more ketchup”. 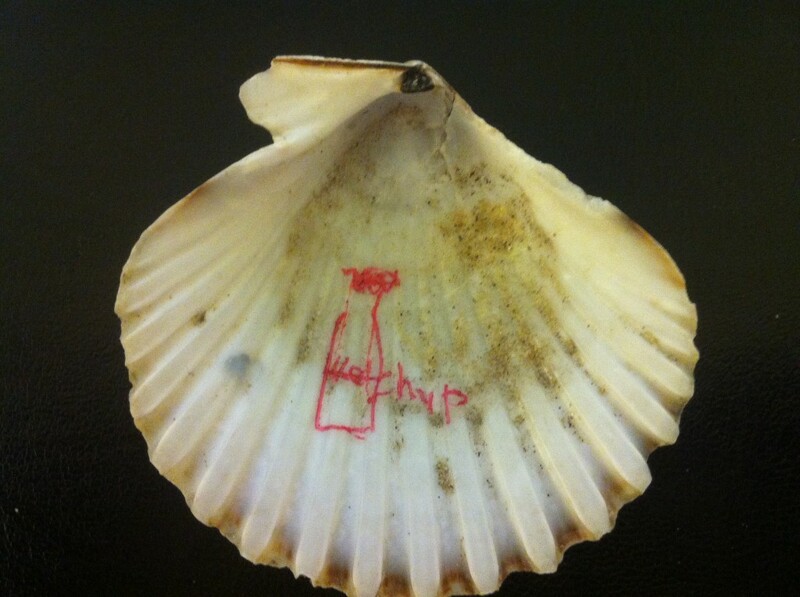 He drew the red bottle of ketchup and the word ketchup (so a mix of words and drawing) on the shell before explaining what it meant. Eating more ketchup comes from his lessons in being a father–recognizing his own mortality and also realizing that we have a choice as to how we want to retain our childhood. Essentially the meaning of this adviart is to remember to hold onto our childlike wonder and tendencies. I think the analogy of the shell is something that will always stand out in my mind. I’m not so fond of ketchup but maybe I’m not too fund of my childish ways either. Perhaps this eating ketchup challenge could be interesting and open up doors to new perspective.